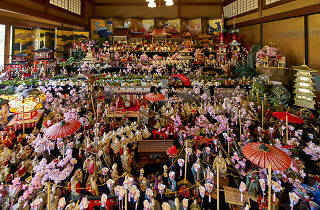 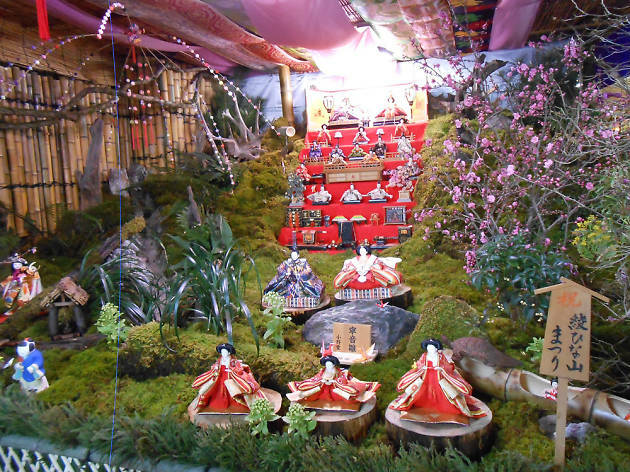 Meguro Gajoen's celebration of Hinamatsuri, or Girls' Day, has become a popular yearly occurrence. 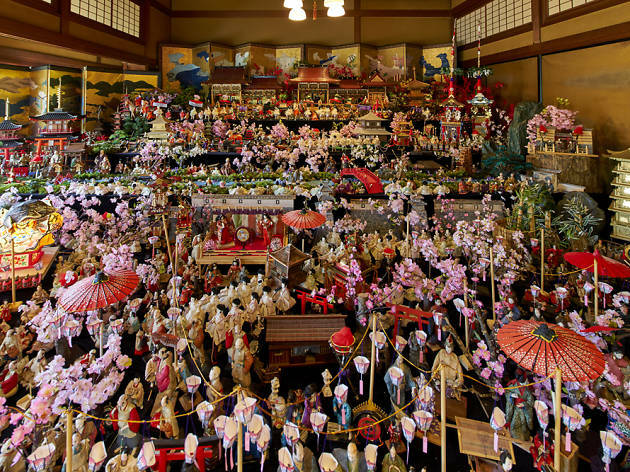 This year's edition features hina dolls and tsurushi decorations from all seven prefectures in Kyushu, with hundreds of antique pieces on display. 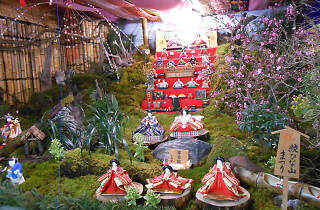 Highlighting the area's strong traditions in marking this special day, the exhibit features a variety of peculiar accessories alongside dolls that once belonged to local dignitaries – including a collection of rarities owned by the family of Meiji-era coal tycoon Denemon Ito and 'mountain dolls' that in the Edo era were placed on hillsides (instead of indoors, as is customary).